Young and talented Hungarian designer, David Obendorfer says Alfa Romeo, his ex-workplace is about to continue the 8C design, but later the design could become simpler, and this won’t be easy for the carmakers. 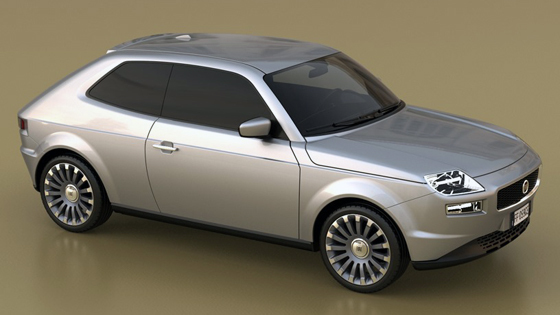 David became famous when he published his redesigned Fiat 127 half a year ago. 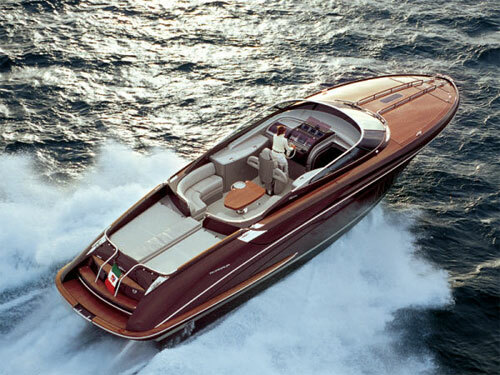 The young designer has been working in Italy for 12 years, he is now one of the designers of Bergamo-based Officina Italiana Design, where is responsible for luxury boats, but he used to work at Fiat and Alfa Romeo as well. In the meantime he drives a Fiat 500. On Wednesday, when he gave a presentation about design concepts, we had some time to talk about new waves in the industry. First of all, a very basic question: how did you get a job at Alfa Romeo? In 2001, I wrote my university thesis about a redesigned Fiat Stilo – I imagined a complete family of Fiats in retro style. 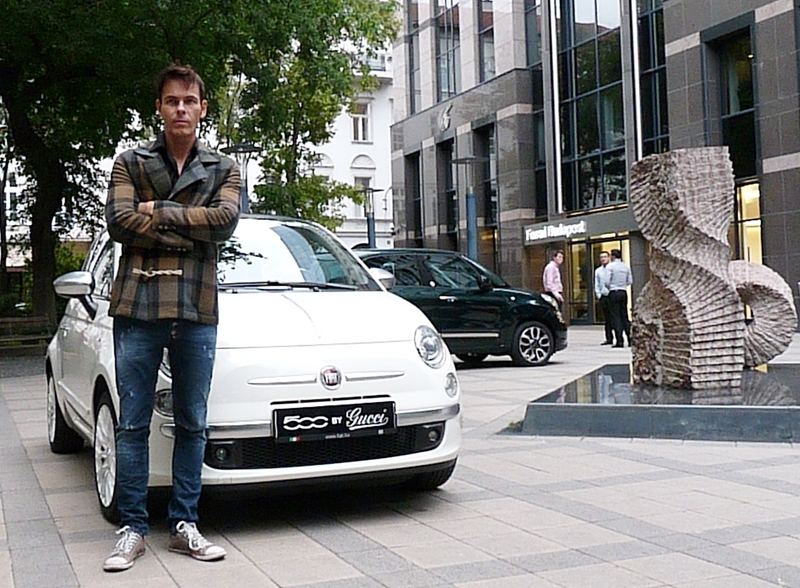 At that time neither Mini, nor the Fiat 500 were on the market, and Fiat liked my design so much, that they invited me for an internship to Torino. We worked at Alfa Romeo under the guidelines of Fiat Advanced Design, and we made concepts about the transportation and vehicles of the future. My main job was to deal with automatic cars. Everybody in the market is obsessed with automatic cars, and Alfa Romeo is no exception. They made calculations to predict when automated systems would be widespread. At present, only a few functions – like parking – are generated automatically, but soon cars will be automatic in every way. This seems very frightening now, but when time comes, we will be used to new techniques. In which directions do designs go? What are the new waves? I can’t tell you exactly, because manufacturers are hiding their plans. But what I can tell you is that nowadays car design is a bit „overdrawed”, lots of signs and patterns are used. Presumably this will clear out, and this could be the next wave, but it’s very important to keep the car’s character. Volkswagen Group was among the first ones, that started making cars simpler, but their models lost their character. Today cars are crowded from the viewpoint of design, maybe because of the competition. Everybody wants to be “louder” then the others. What manufacturers put in cars is another matter. VW group is strong enough to sell cars based on technical innovation, but with basically no design. But this is a dangerous game: we have to make cars simpler while keeping the design elements and this has an impact on global brand image as well. Does the Fiat-group make a good job? Can you say they have beautiful cars? With their new models, Maserati is doing very well. If Alfa Romeo finally started to produce new cars that appear on the market, they would also be heading in the right direction. They never make mistakes. Fiat is another question. It often happens that they suddenly change the plans after already giving the green light for a model and spending a lot of time on producing it. Their new plan, to keep the Fiat 500 and the Panda range seems to be good. What models will be based on them still remains a question, but it can easily be a success. Fiat was brave enough to abandon the segments that were not profitable. That’s why Punto and Bravo probably won’t have direct successors. Let’s talk about Alfa Romeo, what was your experience? I worked for Alfa Romeo in 2002 for six months. At that time they were working on the 159, the 8C Competizione and the GT. It was very strange because I left at a time when the different waves of the 8C and the 159 were competing with each other. I don’t know the exact reason, but then the 159 won, while at present new models at Alfa Romeo are following the 8C lines. It’s quite certain, that Alfa will use the 8C lines on the new models as well. Speaking for myself, I am happy for it, because in my opinion the face of the 8C design is much more forward-thinking, though I really like 159 as well. What is beautiful for you as a designer? What do you prefer personally? This is a hard question, because in the Italian language we use the word beautiful for many things: a film or the Fiat 500 and that’s not evident in Hungary. But apart from this, I prefer clear, simple designs, but characteristic is a must. For example, I like the Nissan Juke, it’s not clear and simple, but it has a very coherent thought. Nowadays retro is very chic. What do you think of this wave? Many people say that retro is only about excessive nostalgia, but I think that in design retro is not about nostalgia, it is a possibility: it opens new ways into the future by using old lines we would otherwise forget. Sometimes critics say that retro is copying, but this is not the case. Instead, they create something new using parts of the heritage. The power of retro lies not in copying but in saying that something is retro. For example we say Fiat 500 is retro, so it became retro, and this gave to this little car an extremely big popularity. How do you design cars today? What’s the difference between today’s techniques compared to those of 10-20 years ago? Today drawing a car is very industrialized and standardized. The way Pio Manzoni made the Fiat 127 or Giovanni Michelotti the shark-BMWs is considered „romantic” nowadays. At that time a person’s idea was mirrored in the design but today designing a car is like politics. There are many levels and by the time a car reaches serial production, it already contains the ideas of a bunch of people and this can be seen in the end product. This is partly the reason why I never wanted to design cars for a living. You cannot build a big career. In car design, many things are needed to be able to say: this is my work. For example, I have no idea whether Walter da Silva can consider it his own work what they say is his and we don’t know how many of his ideas made it to the end product. The case of small design studios is another interesting thing. Car manufacturers handle the design elements as secret more and more, and this is harmful for the relatively small studios. 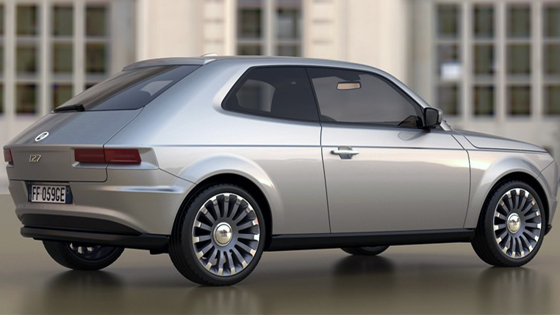 Back in 2002 Alfa purchased the 159 design from Giugiaro, but I doubt it would be possible today. Earlier, the process started in the factory where the manufacturer’s own studio made a concept for a new model but also asked for other concepts from independent design studios and at the end they decided the winner. But with keeping secrets, this process no longer exists, although Pininfarina still designs cars for Ferrari, while other designers become factories like Bertone. Now I’m working in a relatively small studio in Bergamo, called Officina Italiana Design and I’m responsible for the outer design of Riva luxury ships. I really like this job, because I am involved in the whole process. I liked to make car concepts, and it really was a pleasure that people liked it, but presently I am really satisfied with my job.